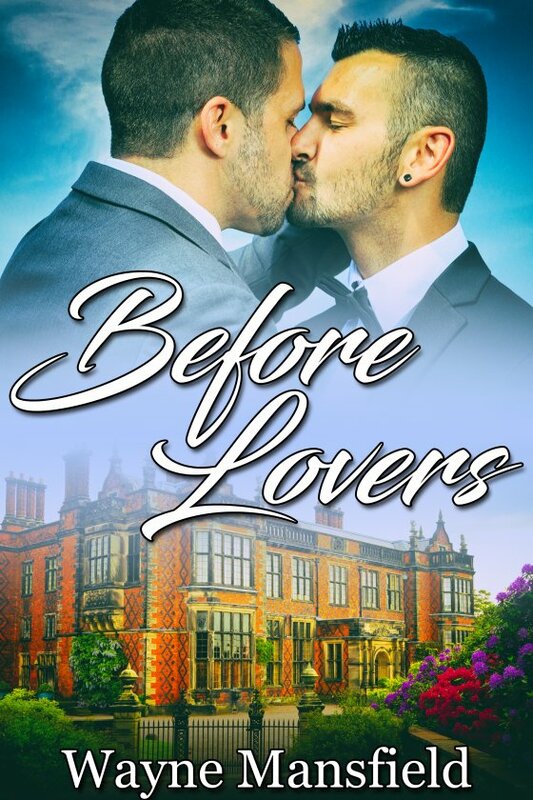 Before Lovers by Wayne Mansfield is now available! Have you ever seen someone and had the strangest feeling you’ve met before? When Paul notices a handsome man watching him on the bus, he’s a little annoyed. When it happens again the following evening, he begins to worry. On the third day, the mystery man, Calvin Dickson, taps Paul on the shoulder and introduces himself. Paul can’t help but be wary. Calvin gives Paul his card and suggests they meet for a drink. When Paul reads the card and notices Calvin is a chartered accountant, he decides the man can’t be too crazy and decides to accept the offered drink. There’s an immediate connection between the two men, but there’s more than that. Strange things happen to Paul whenever he becomes intimate with Calvin, which leads Paul to consult a psychic. What he discovers will change the way he thinks about life — and Calvin — forever more. It was a warm night and the street was busy with people. Electric light poured out from book shops and novelty stores. Neon light advertised clubs, pubs, and restaurants. “I really love this,” said Calvin. “What? The crowds?” asked Paul. Paul looked at Calvin with a slight sense of wonder. “Most people don’t notice things like that,” he said. “I suppose so,” said Paul. They walked along the footpath the end of the street, where there was a large park with giant Moreton Bay fig trees that blocked out most of the starry night sky. As they stepped into the shadows, Calvin took hold of Paul’s hand. “You don’t mind, do you?” asked Calvin. Calvin stopped and turned to face Paul. Calvin brought his hands up to cup Paul’s face and then leaned in to kiss him. The moment their lips touched Paul felt a flash of energy and jerked his head back. Paul hadn’t considered that explanation, but it was a good one. “You’re probably right,” he said. Paul felt Calvin’s lips on his ear, and on the sensitive skin beneath. He could feel a slight tingling in the area, and had come over a little faint, yet he wanted to kiss Calvin more than anything. So when Calvin’s lips moved from Paul’s neck to his mouth and the tingling started around his mouth he didn’t pull back. It wasn’t an unpleasant feeling, the tingling, but as their kisses became more passionate Paul began to experience a new sensation.